Writings: Searching for fire ants by helicopter: remote sensing or remote chance? In 2009, with fire ants still marching across south-east Queensland, Professor Roush from the University of Melbourne and his team reviewed the fire ant program. They stated the obvious when they said the Queensland Government was not eradicating fire ants because they couldn’t find them and they needed to do something different. Incredibly, the Queensland Government said, ‘We will do something that no one in the world has done: we will search for them by helicopter! It is called ‘remote-sensing.’ Six years on, it found a few nests and missed a whole lot more. It should have been called ‘remote chance.’ The Queensland Government’s remote-sensing folly was contrary to scientific advice, wasted public funds and did nothing to stop the spread of fire ants. ‘Don’t worry,’ said the Queensland Government. ‘We’re going to do something that no other country in the world has done: we are going to find them with heat-seeking cameras mounted in a helicopter.’ The theory is simple enough: fire ant nests can be warmer than the surrounding ground during cooler months, so heat sensitive cameras might be able to detect them. If not incredulous, the Roush review team were certainly ambivalent about the Queensland Government’s chance of developing this complex technology into a world-first, practical surveillance tool. They said, ‘there are significant challenges with the use of this technology.’ If the cameras can’t tell the difference between a fire ant nest and other warm things like rocks, manure and various bits of rubbish, they will identify all sorts of things as nests. And if the cameras can’t detect very small nests, those nests will develop and fire ants will spread. And, because the technology can only be used during the cooler months and can’t be used on windy or rainy days because the helicopter has to virtually hover for the cameras to capture the images, there is a good chance that fire ants will spread faster than the remote sensing technology can find them. Undaunted by such logic, the Queensland Government launched an excited media campaign about this ‘world-first technology’ with the wide-eyed question, ‘Can you believe that we can pinpoint fire ant mounds from our chopper?’ The answer is, it found a few and missed a lot more. Trials of the remote-sensing technology got off to a slow start in 2010. The three cameras in the complex system were unable to focus on the same spot at the same time, so the images they produced were too blurry to be analysed. The trials came to a halt while the Queensland Government put out a tender for a second camera system. Trials of the new system did not start until November 2011 and they did not go well either. Each of the three cameras produces about a terabyte of data a day, but the technology could not integrate all that data into a single usable map. The cameras went back to the USA for further development. In the meantime, the public had found lots of fire ant nests and the Fire Ant Restriction Area had blown out to 120,714ha. Funding partners in Western Australia and Victoria started questioning the Queensland Government’s ability to find fire ant nests. Trials of this ‘world-first’ technology began again in May 2012. This time, there were two very serious problems with the computer program that analysed the images to identify possible fire ant nests. The program was not identifying small fire ant nests that were actually there, but it was identifying millions of warm things as potential ‘point of interest’: 5,237,146 of them in fact: just as the Roush review team had predicted. This was far too many for field teams to validate and the computer program went back to its developers at Sydney University for modification. In the meantime, the public were finding more and more fire ant nests and the Fire Ant Restriction Area went up to 282,000ha: twice the size of the Brisbane City. The Queensland Government’s main argument for using the technology was that it would be cheaper than using field teams to look for fire ant nests. But the costs of the remote-sensing technology were rising rapidly with the costs of the cameras and hire of the helicopter, the computer program to analyse the images, computer capacity to store vast amounts of data, computer analysts and high-end data processing stations, GPS technology for field staff and the field staff themselves. Despite chewing up millions of dollars in public funding, by 2012, the technology had still not produced any results. Funding partners Western Australia and Victoria were questioning the feasibility of the remote-sensing technology. 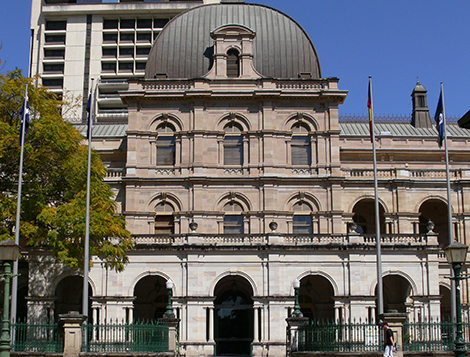 Undaunted, the Queensland Government recommenced remote-sensing surveillance in May 2013 with a modified computer program. This time it identified only 1,224,165 potential nests: still far too many for field staff to validate. But in 2013, the Queensland Government could, at last, report some success. The technology had identified three infested properties with six nests. The Courier Mail had a field day: ‘$7.2m over 2 years and that is all they have found!’ Again, the public were still finding fire ant nests and by March 2014, the Fire Ant Restriction Area was up to 316,304ha, nearly 2.5 times the size of the Brisbane City. By 2014, the University of Sydney said they could do no more to improve the sensitivity of the computer program that analysed the images. The remote sensing surveillance program limped along again during the cooler months of 2014 and found one infested site with five nests. The public kept finding fire ant nests and by August 2014, the Fire Ant Restriction Area was up to 323,808ha, the Western Australia Government had pulled its funds from the program and the Commonwealth Government was considering whether eradication was still feasible. It appears the trials of the remote-sensing technology have come to an end. The review of the technology conducted in 2015 found that, all up, it had detected a total of 38 colonies on 23 sites and the cameras were now old and unreliable and would cost around $460,000 to replace. The Queensland Government has not announced another remote-sensing surveillance program for 2016. The Queensland Government ignored sound scientific advice, wasted millions of dollars of public funding on a remote-sensing folly and compromised any chance of eradicating or containing the spread of fire ants. Creating a fire ant biosecurity industry?